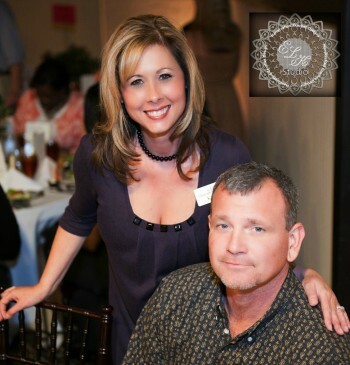 The Elegant Kathy Lashley of ELK Studio: Designer Showcase! It’s time for July’s Designer Showcase! Once a month I have one of my favorite designers share a bit about themselves, and then I follow it up by sharing my 5 favorite free patterns that they’ve designed! 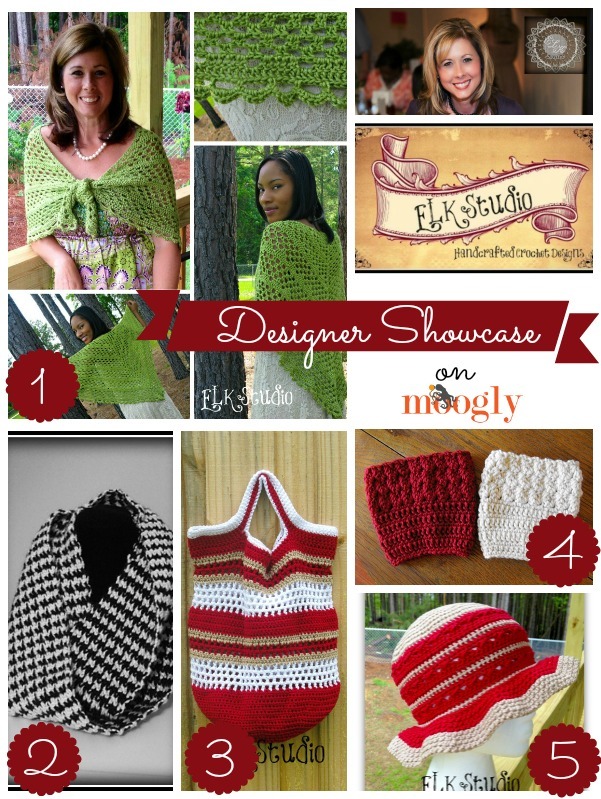 This month I’m super excited to have Kathy Lashley, the elegant, talented, and wonderful designer and blogger at ELK Studio – Handcrafted Crochet Designs! Kathy is known for her classic, elegant, and slightly southern designs! Her patterns are always lovely, and her hats are breathtaking! Here’s what she has to say! Hi everyone! It was such an honor when Tamara asked me to share a little about myself with the wonderful Moogly fans. 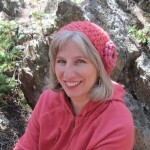 My name is Kathy Lashley, and I’m the person behind the computer screen of ELK Studio – Handcrafted Crochet Designs. 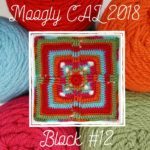 I’ve crocheted for over 32 years but have really just started designing and blogging within the past year. I can’t believe how much fun I’m having crocheting compared to working in the medical field for the last 23 years. Hopefully one day crocheting will be my full-time job, and I can hang up those scrubs. I’ve been married for almost 5 years and have a blended family of 5 children and 7 grandchildren (wow that makes me feel old), but love spending my time with the kids and hubby. I probably wouldn’t be writing this if it weren’t for the support of my husband. He has practically named every one of my projects and doesn’t mind the yarn in the living room, bedroom, or craft room. Maybe I should put some in the bathroom for giggles. I love designing accessories for the adult and would say my signature style would be my Southern line of summer hats, but I love creating bags, scarves and shawls too. So far I have 36 designs and look forward to learning new stitches, techniques and styles for future projects. I would like to thank Tamara for allowing me this opportunity. Isn’t she wonderful? Kathy has been so wonderful to get to know – and I know you’ll love her patterns too, if you don’t already! You can follow ELK Studio – Handcrafted Crochet Designs on Facebook and check out some of her fabulous paid patterns on Ravelry. 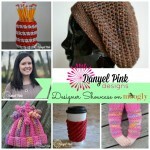 Here are 5 of her free patterns that I want to share with you today! Click on the name of the patterns you like to go to their pattern pages! Dixie Charm – This summer weight shawl is perfect for any occasion – especially ones with too much air conditioning! Houndstooth Infinity Scarf – A classic pattern made new – and in crochet! So amazing. Fun in the Sun Crochet Beach Bag – I love crochet bags, and this one has such a great look and shape! Ripple Stitch Bootcuffs – These are so great – and a big hit for craft fairs, from what I hear! 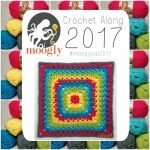 Thank you so much to Kathyi for being featured in the seventh Moogly Designer Showcase! I hope you’ve enjoyed learning more about Kathy Lashley and her fantastic patterns! 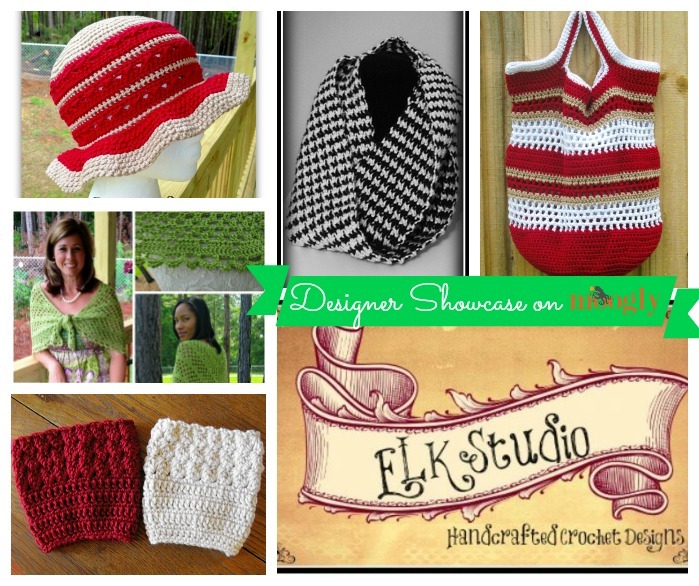 You can check out ELK Studio – Handcrafted Crochet Designs for more from this great designer! What an incredible honor! I really appreciate everything you do to bring the crochet industry to the top! You are truly amazing with your dedication, organization and talent! I can only hope to aspire to your level! Thanks for all the inspiration! 😀 Thank you so much Kathy! It was my pleasure – you always create such high quality designs! Someone’s an Alabama fan. 😉 My niece is at UA & will love the houndstooth infinity scarf.